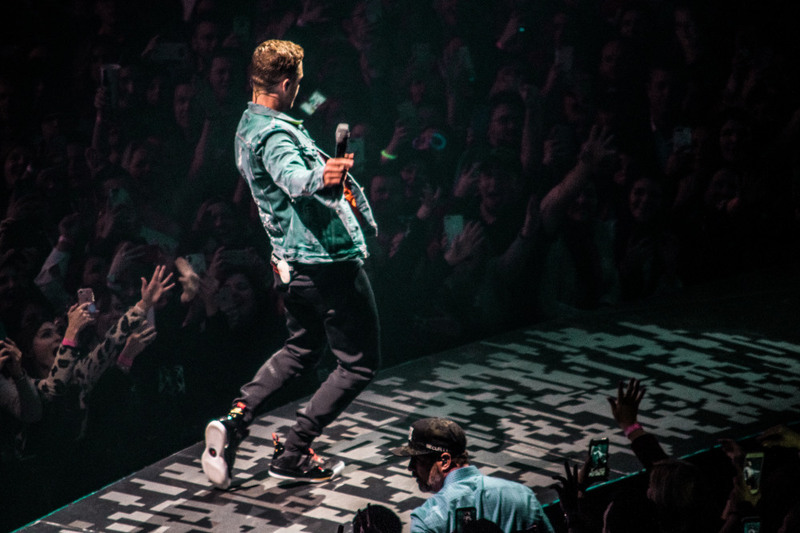 Can you believe Justin Timberlake has been performing for packed stadium audiences for almost 24 years now? 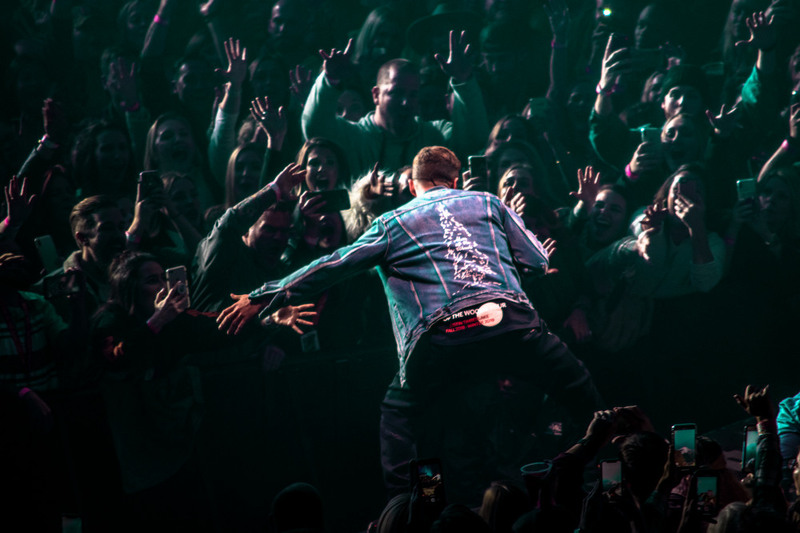 More than just a performer, Justin Timberlake seems like the perfect significant other or "boy next door" that everybody dreams about. 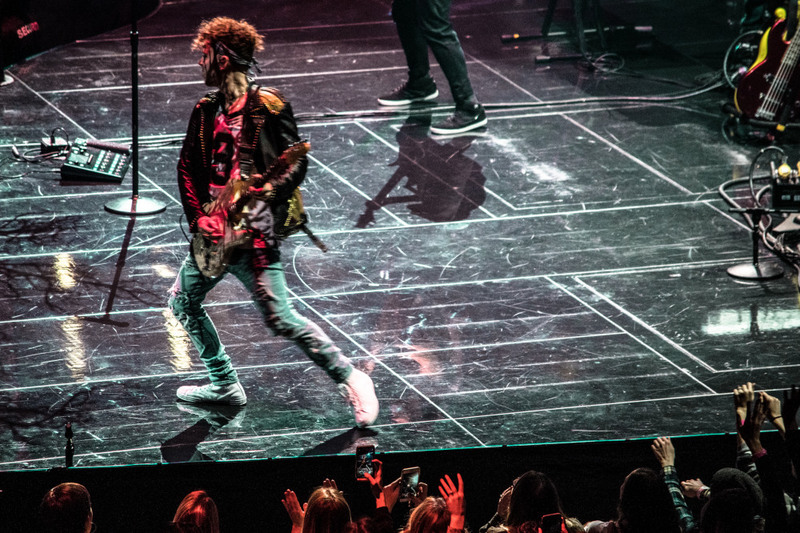 He’s funny, entertaining in a crowd and he keeps things moving super quickly, plus he can dance. 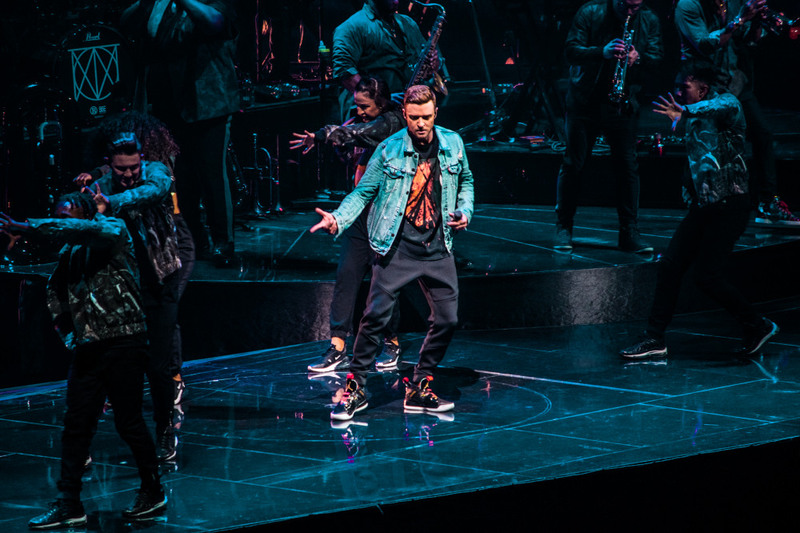 And while Timberlake clearly wants his place in the pantheon of musical importance — both of his opening acts/DJs Tuesday night in New Orleans referred to him as “The Prince of Pop,” a title he can get away with since Prince is no longer with us — he also doesn’t seem to take himself too seriously. 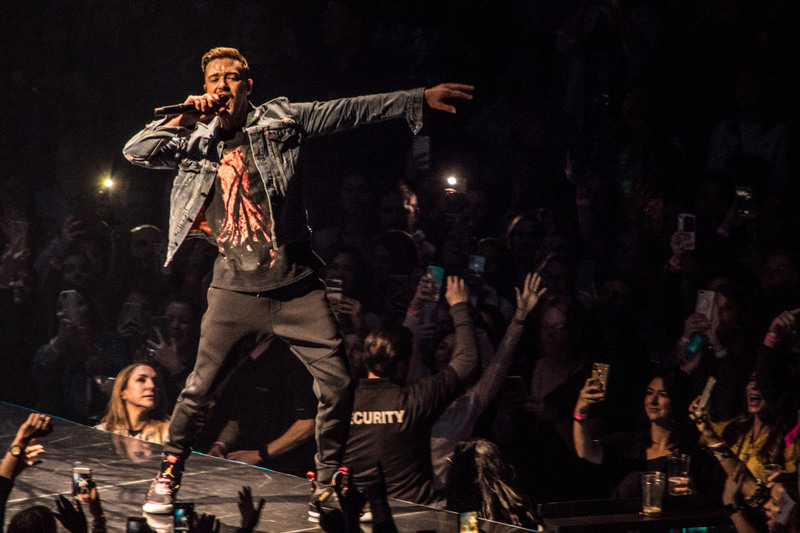 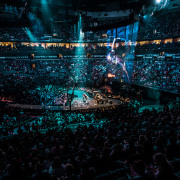 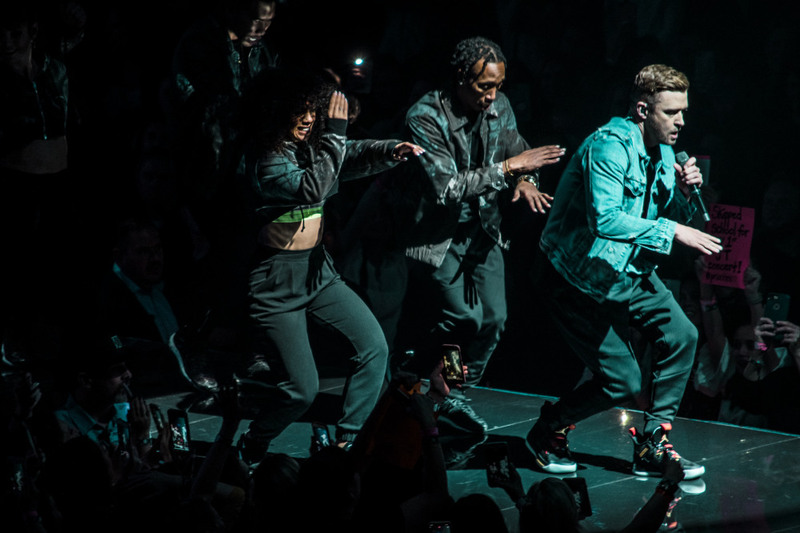 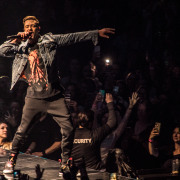 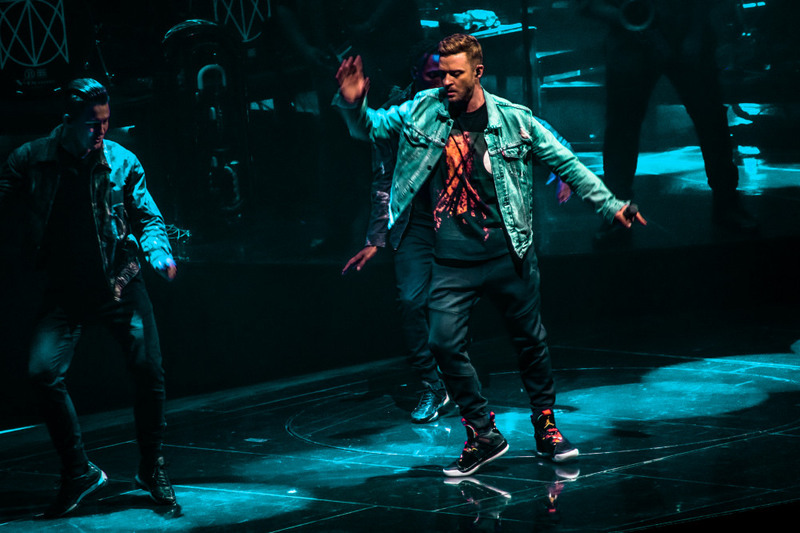 Tuesday night brought Timberlake’s Man of the Woods tour to town for a packed show at the Smoothie King Center, and it was a full-on spectacle. 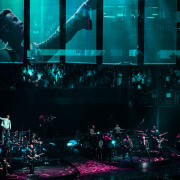 More of a lavish multimedia dance production than a mere concert, the show took place on an elaborate stage that stretched almost the length of the arena floor. 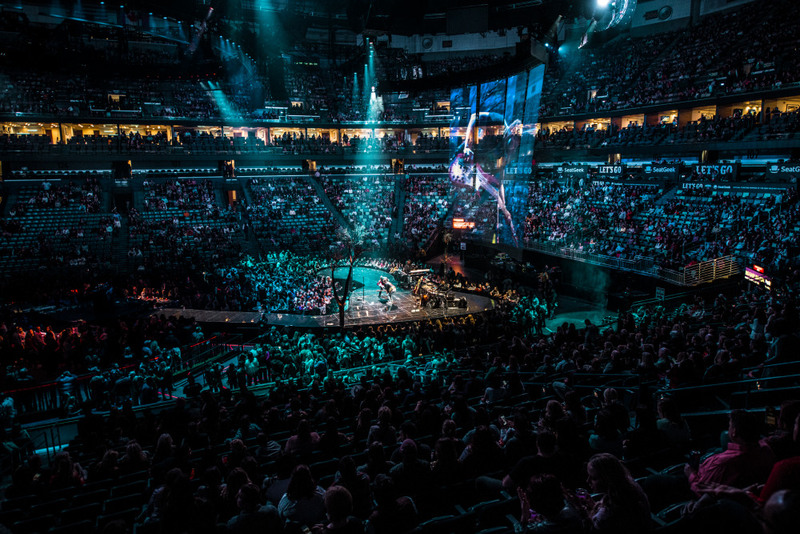 It was curved into a shape reminiscent of Prince’s old glyph symbol, and dark metallic trees gave it the feel of a Cirque du Soleil set. 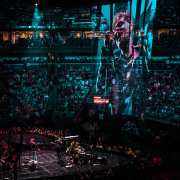 It was quite a prop, evoking a river with fog machines (during “Cry Me a River,” of course) and a campfire sing-along that happened around a firepit with actual flames. 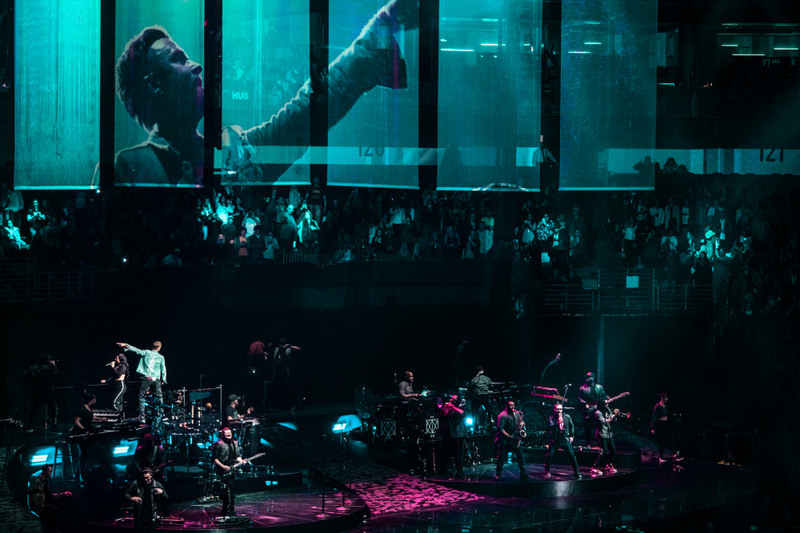 The show began with a dramatic entrance that looked like the 1977 sci-fi drama Close Encounters of the Third Kind or even an Odesza-inspired tribute (for those Odesza fans out there). 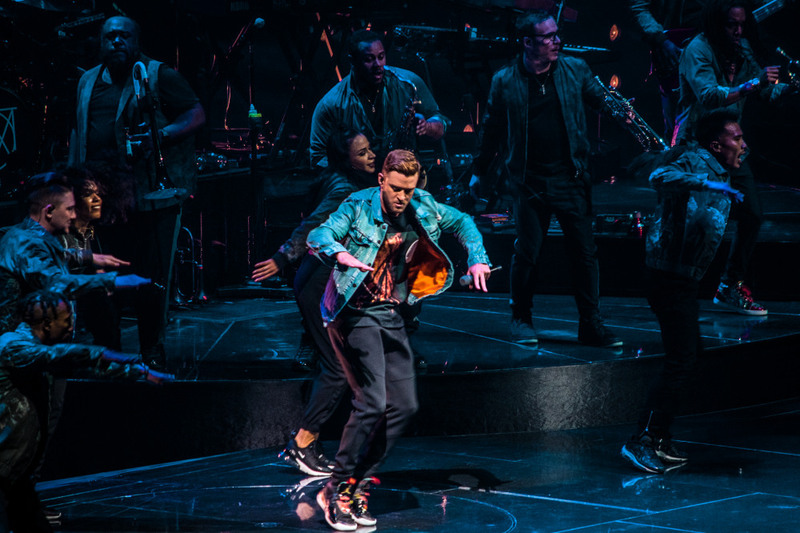 Timberlake and band came onstage backlit by bright lights and appearing as silhouettes. 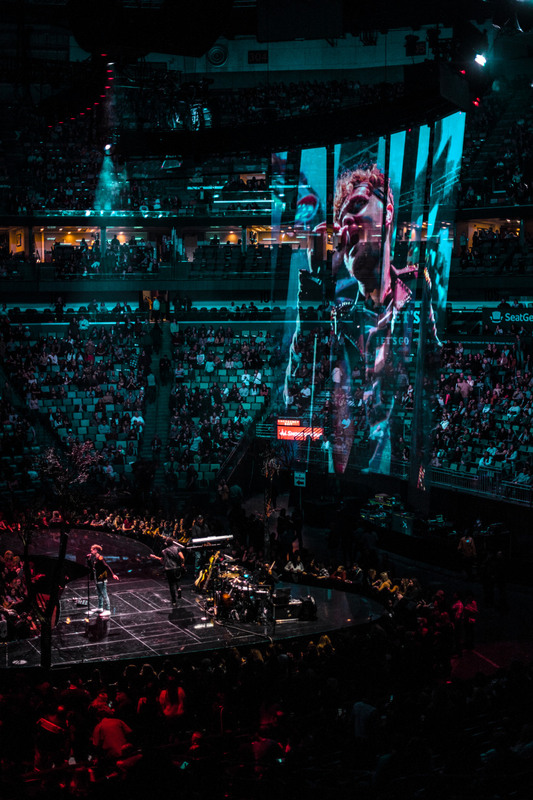 It was kind of a tease of an entrance as the stage stayed mostly dark with lasers pulsing overhead during much of the opening song, “Filthy.” There wasn’t enough light to really get a good look at the star until the very end of the song, but the crowd still ate every bit of it up. 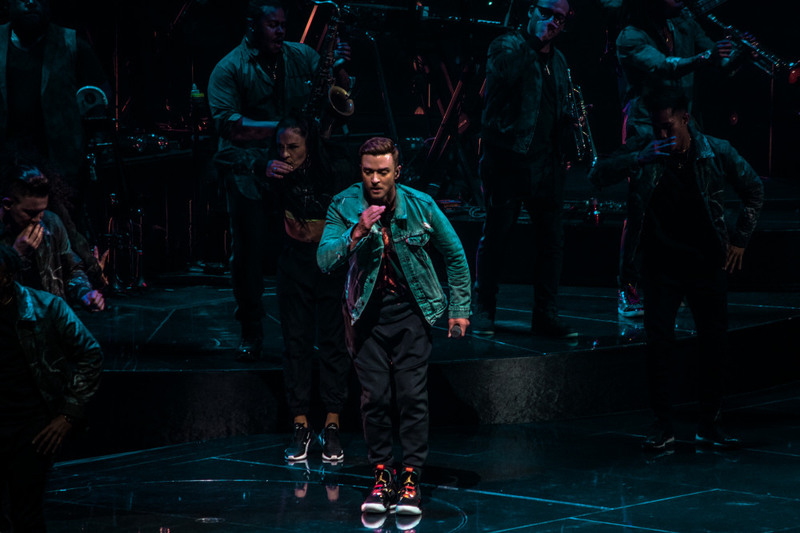 Timberlake was resplendent in red high-top Nike kicks, which, during the show, was a handy visual aid to keep track of his location at any given time. 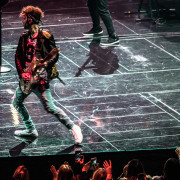 He roamed back and forth during every song, usually surrounded by up to six dancers with a dozen musicians, dubbed the Tennessee Kids, playing back on the primary stage. 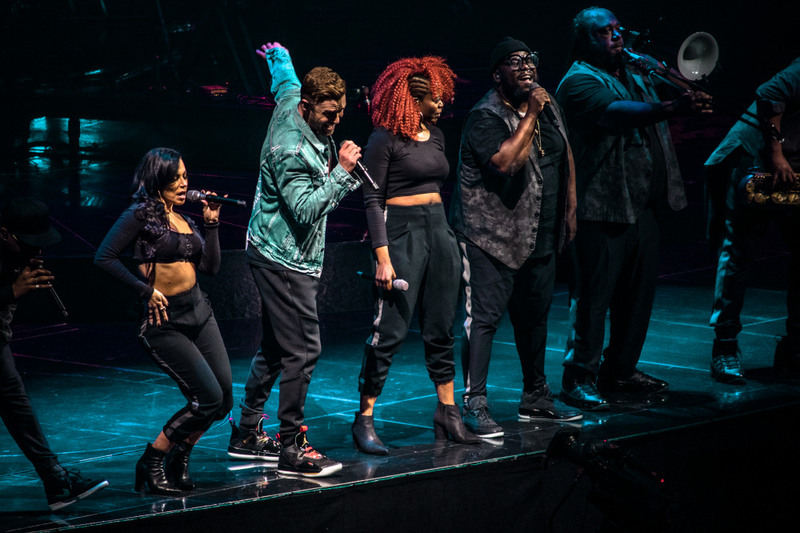 He even took a moment half-way through the show to show some love to the New Orleans Saints with not one, not two, but THREE "Who Dat" chants that got the crowd absolutely quaking. 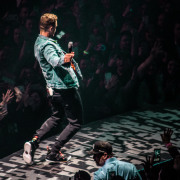 Pretty much everything, even the microphone stand, served as a dance prop for Timberlake, whose moves and voice remain sharp as ever at age 37. 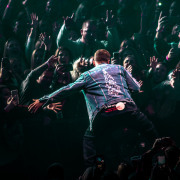 He sang quite well, showing no apparent ill effects from the bruised vocal cords that postponed some shows earlier in the tour in 2018. 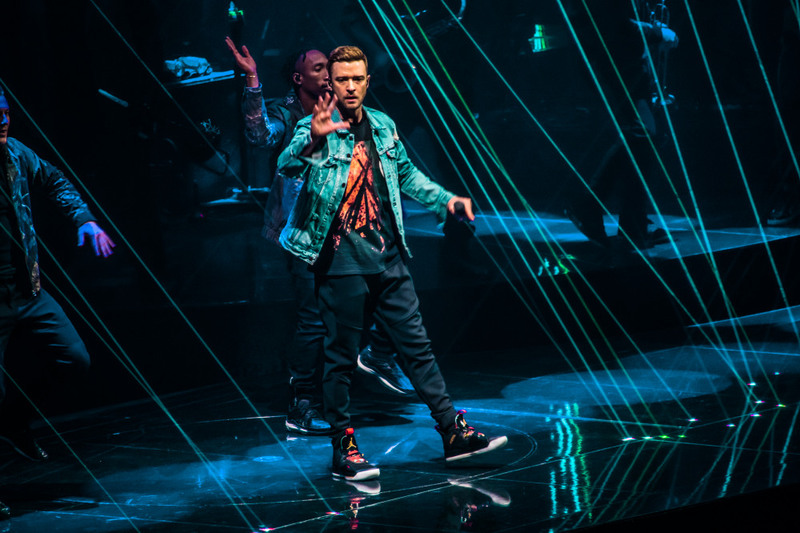 When he stripped everything down to semi-acoustic and strummed a guitar himself on “Drink You Away” and “What Goes Around ... Comes Around,” it was an impressive display of range from JT.